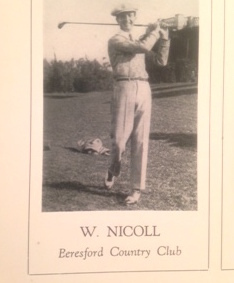 It is a fact that since 1922 when Donald Ross redesigned our golf course (see last issue for more details), The Beresford/Peninsula Club has had only four Golf Professionals over that 93 year period. Willie Nicholl, Bud Ward, Bob Moore and Tom Toschi have all held the top job. All have been outstanding players and gifted teachers and have had that spark that makes Members enjoy their Club all the more. 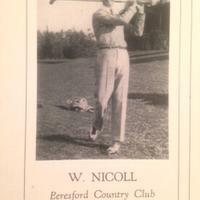 Enter Willie Nicholl to Beresford. And how did we find him? You guessed it. 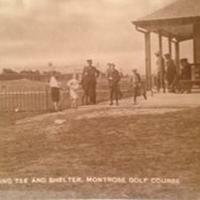 A personal written recommendation by Donald Ross to the Beresford CC Board of Directors recommending him for the job. Until this writing, I had not known the reason that Ross knew Willie Nicholl to recommend him for the Beresford job, but Nicholl's working at two Ross courses prior to Beresford is no coincidence. Willie showed up in San Mateo on April 8, 1923 accompanied by his assistant Mike Twist. 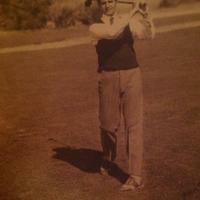 He was an outstanding player winning and placing in many Northern California PGA events over the next 30 years. 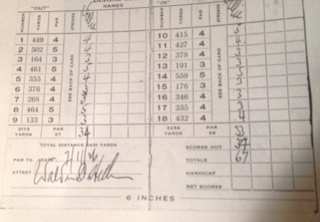 He shot the first 67 on the new Donald Ross course. He was known as an outstanding teacher, working with Lawson Little, Patty Berg, Dot Kielty and many others. All of Willie's brothers made good in golf. Bert gave lessons to JFK. James was at Pinehurst. But none made the kind of impact over 31 years that Willie made. 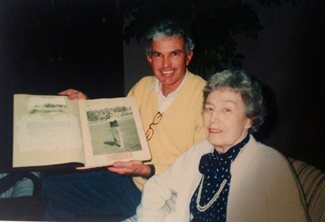 When he retired in 1954 due to allergies PG&CC hosted him and his wife Alma to a dinner at the Club in his honor. 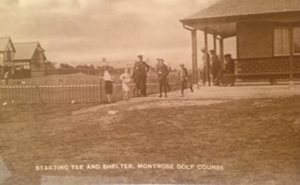 There was a bagpiper, an Honorary Membership, and tickets for a trip to visit family in Montrose, Scotland. Willie did some part time teaching after retirement to stay busy, and because he was in demand. He passed away in 1988 but that is not quite the end of the story. In 1990, I found Mrs. Alma Nicholl living in Roseville. I had just started researching our Club History and was shocked at how little we had. 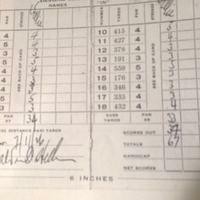 She invited me to visit and I took along Tom Culligan who had known Willie and taken lessons from him. 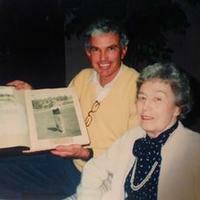 She had the most wonderful golf scrapbook which she donated to PG&CC. 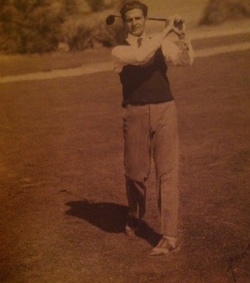 It was full of pictures of PG&CC from the 1920's and articles and photos of Willie. I promised her his story would never be forgotten. She passed away shortly thereafter, and his story is an important part of our history.